Posted on November 30, 2018 at 1:29 am. The first time NASA wanted to send humans to the moon it turned to Draper to develop the guidance, navigation and control system that made that possible. As NASA prepares to embark for the moon once more, it has selected a team led by Draper to once again support its mission needs. The Draper team was awarded an Indefinite Delivery, Indefinite Quantity (IDIQ) contract vehicle, today to support NASA’s Commercial Lunar Payload Services (CLPS) initiative. The Draper team’s uncrewed lander—dubbed Artemis-7—will complete sample collection and return, demonstrate the use of in-space resources and reduce risk for the production of human landers. These missions pave the way for a human return to the moon, as well as enable human exploration of Mars and beyond. The Draper-led team includes General Atomics Electromagnetic Systems; ispace, inc.; and Spaceflight Industries. 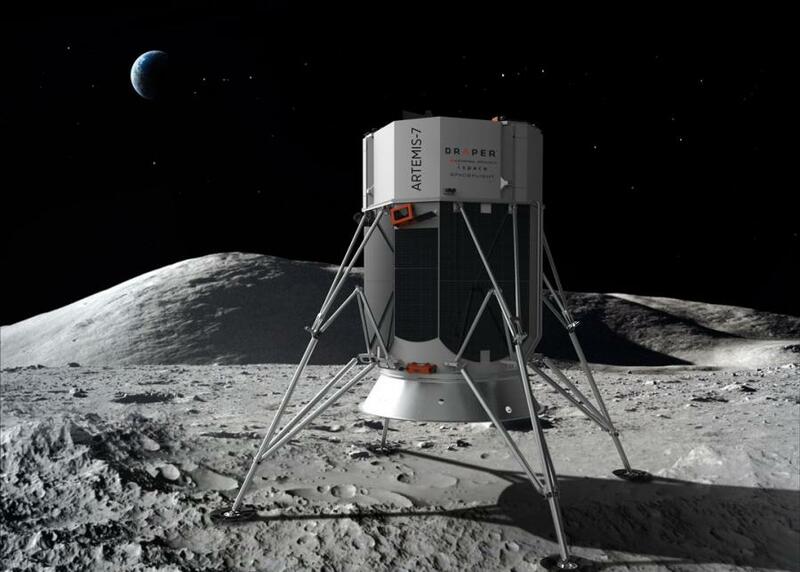 Draper will provide payload operations, the flight computer, and the guidance, navigation and control systems for the lunar lander, as well as overall management and coordination of the team; General Atomics Electromagnetic Systems will carry out the lunar lander manufacturing, assembly integration and testing in the United States; ispace will act as the design agent for the lunar lander and mission operations, as well as provide high-frequency rideshare opportunities; and Spaceflight Industries Inc. will orchestrate launch services, including integration, mission management, launch and range documentation, and pre- and post-operations.